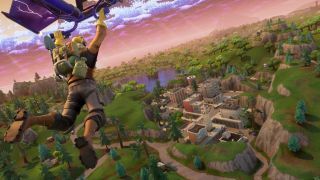 With the arrival of the massively popular Fortnite: Battle Royale on the Nintendo Switch just weeks ago, many players were shocked to discover that any Epic Games account previously linked to a PSN account was blocked from accessing the game on the hybrid console — despite the fact that the PS4 allows for cross-play with PC and iOS players. Unfortunately, the problem lies with Sony, which has already refused to allow cross-play between PS4 and Xbox One players for reasons it won't go into. As a huge part of Fortnite's appeal lies in the ability for players to compete and collaborate across many different platforms, the fact that Sony is holding back total cross-platform play is a huge disappointment not just for fans of the game, but any title that would benefit from unrestricted play between platforms. Thankfully, Sony has hinted that a solution to the problem could be on the cards, with one executive's comments at the Gamelab conference in Spain offering a ray of light for fans left in the dark, as reported by Eurogamer. "We're hearing it. We're looking at a lot of the possibilities. You can imagine that the circumstances around that affect a lot more than just one game. I'm confident we'll get to a solution which will be understood and accepted by our gaming community, while at the same time supporting our business." White it's encouraging to hear that Sony is actively looking for solutions to its cross-play problem, there's no guarantee it will loosen its mulish stance. That said, the outlook is brighter now than it was before, so fingers crossed that Sony will find a way to play nice with its console competition.